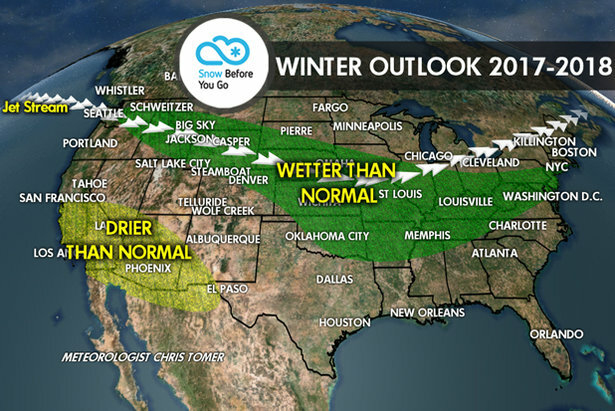 Which ski resorts will get the most snow this winter? 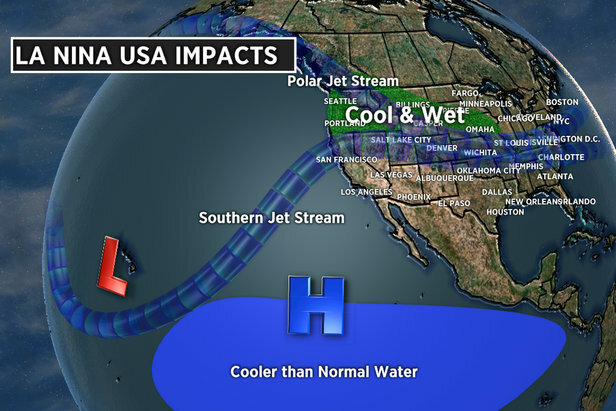 Snow Before You Go Meteorologist, Chris Tomer presents the long-range forecast for the 17/18 ski season. 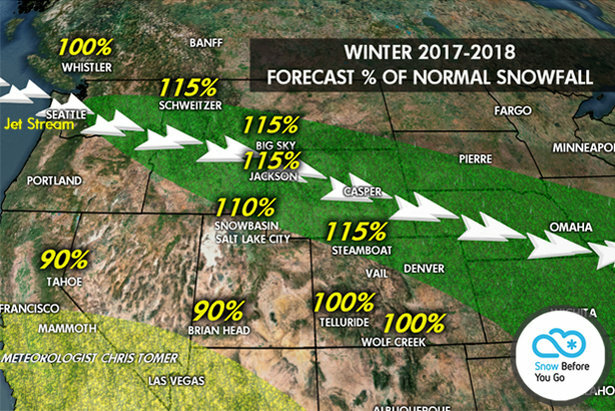 Percentage of normal snowfall by resort for the 2017/2018 ski season.